Sweet Defeat, How to STOP sugar cravings? A couple of days ago, I discovered this product that really caught my attention. In case you didn't know, I'm always trying my best to eat well and healthy but there's something I've always struggled with, which is SWEET CRAVINGS. I know for sure I am not the only one who has the biggest sweet-tooth and that sometimes that's the only thing that really kills the vibe of the healthy diet routine, and it needs a little help. 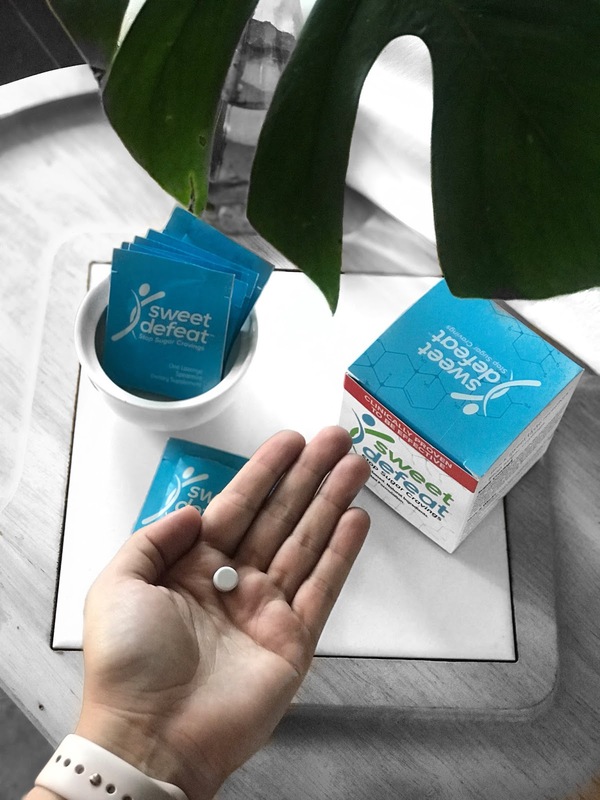 Sweet Defeat is a spearmint lozenges that helps stop your sugar cravings. It's a plant-based, made with natural ingredients and it's clinically proven to be effective. I honestly love the concept and I thought it was a pretty clever product. All you have to do is dissolve one lozenge on your tongue immediately after any meal or snack and you can use it 2-3 times daily, or more, as needed. The science behind it is that as the lozenge dissolves, the ingredients bind to the sweet taste receptors on your taste buds, suppressing the sweet taste, and helps reduce sugar cravings in seconds. 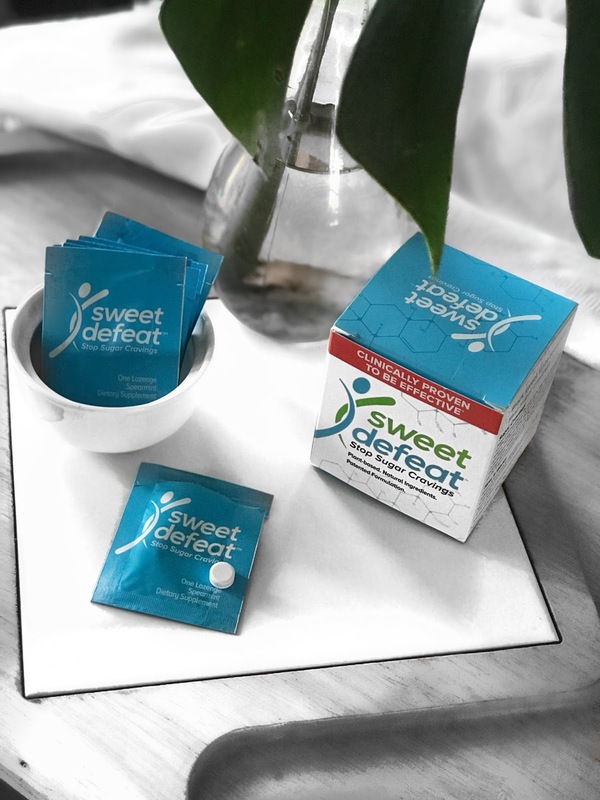 I'm really excited about the results I've been having by using Sweet Defeat the last couple of days. What I like the most is how you do feel a change in your ''need'' to consume sugary things and it's a very quick and easy step to add into your healthy habits. 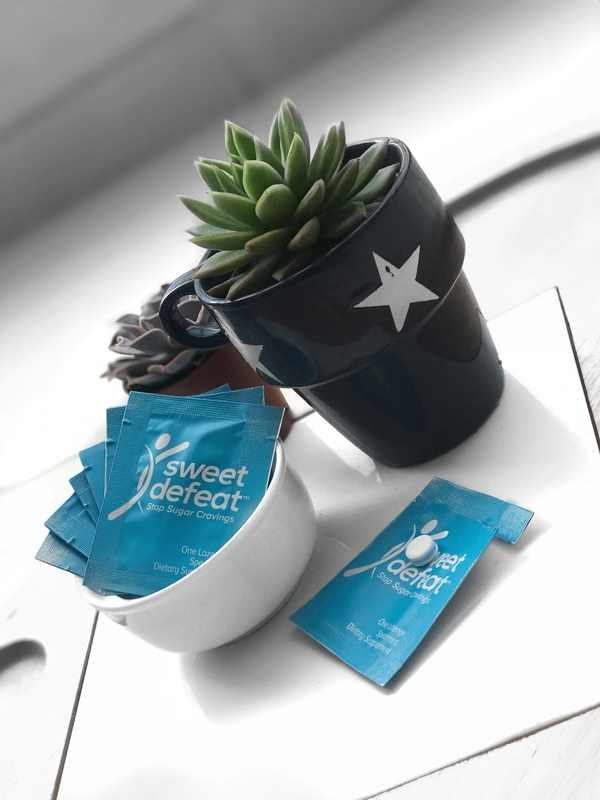 You can get to know more about the product and brand at www.sweetdefeat.com and also get a 50% OFF with the code MANDY50, isn't that amazing? Thank me later!! Do you also have sugar cravings, how do you battle them? Hace unos días descubrí este producto que honestamente llamó bastante mi atención. Para aquellos que no sabían, intento todo el tiempo de llevar una dieta balanceada y sobre todo saludable pero hay algo con lo que he estado lidiando desde hace mucho tiempo y son los antojos de comer dulce. Me consta que no soy la única que los tiene y que a veces es lo único que mata la rutina de la dieta saludable. Sweet Defeat es un suplemento, pastillas de menta que ayudan a detener los antojos de azúcar. Está hecho a base de plantas y con ingredientes naturales. Para serles honesta me encantó el concepto y pienso que es un producto muy ingenioso. Debes disolver una pastilla en la lengua inmediatamente después de cualquier comida o merienda, puedes usarlas 2-3 veces al día o más, según sea necesario. Se supone que unen los receptores del sabor dulce en las papilas gustativas, suprime el sabor dulce y ayudan a reducir los antojos de azúcar en segundos. Estoy realmente emocionada con los resultados que he visto/sentido al usar Sweet Defeat en estos últimos días, los cambios que he tenido en mi ''necesidad'' de consumir azúcar han sido evidentes. Pueden obtener más información sobre el producto y la marca en www.sweetdefeat.com y también obtener un 50% de descuento con el código MANDY50, no es increíble? Agradézcanme después! También te dan antojos de azúcar, cómo los combates? Thank you for passing by, Lauren!! I see. I hope it works. Yes, perfectly, the idea is so amazing! Thanks for making this article positive and inspirational.